1. This website and its blog are just the media containing travel-health information. All information is published for the general public used only. Since medical knowledge is ongoing change and its applicable to each individual depend on many factors. So information from this website and its blog could not be the reference for any purpose and could not be used instead of your doctor. 2. If you need health advice, or need diagnosis or treatment on any disease please contact your doctor. Do not use this website as your reference. 3. 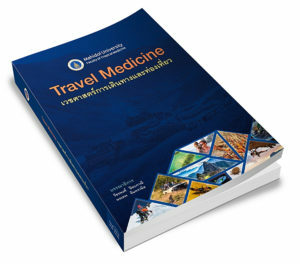 Any articles including views or opinions presented are solely those of the author and do not necessarily represent those of the Thai Travel Clinic, Hospital for Tropical Diseases. And they are not the opinion of the Faculty of Tropical Medicine, Mahidol University. 4. Any comments from other visitors are not under our controlled. Readers should read and considered them carefully. We are not responsible for any comments in this website or blog. 5. We are not responsible to any outbound link from this website/blog.